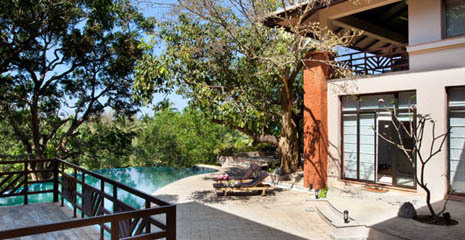 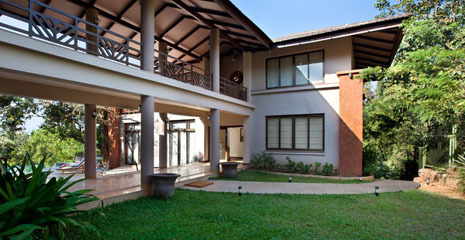 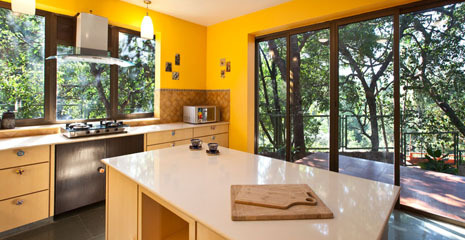 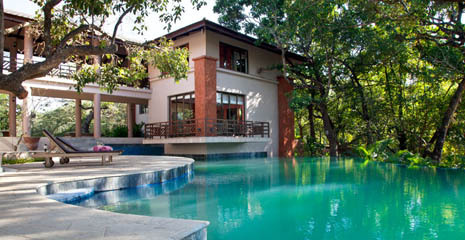 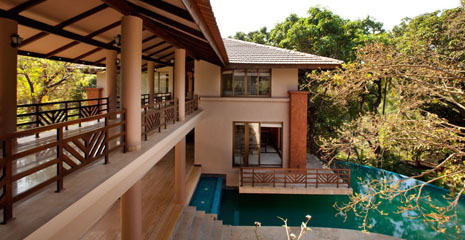 This impeccably styled modern villa is set on a hill with views over Chapora river. 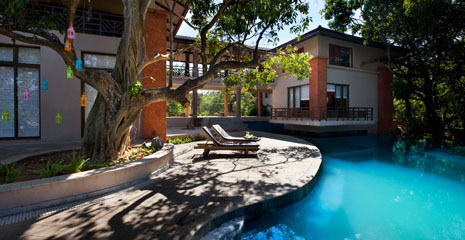 A private drive way leads up to the 5 bedroom villa that overlooks a wonderfully large swimming pool set under mango trees. 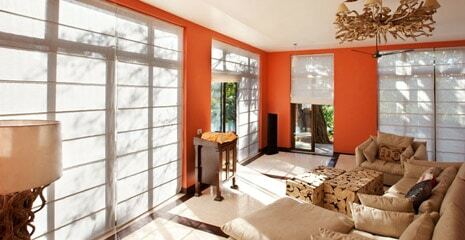 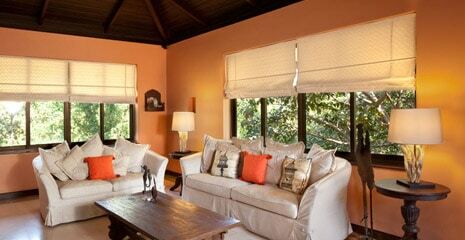 Large floor to ceiling windows ensure that every room has an exquisite view over the surrounding tropical forest. 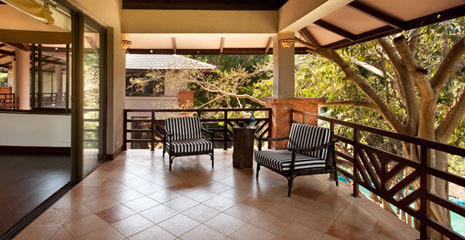 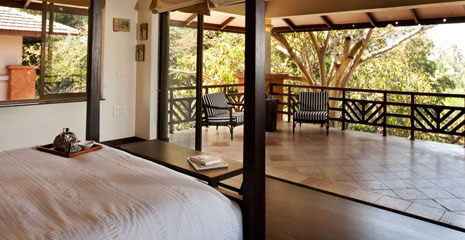 Each of the large ensuite bedrooms has its own private verandah. 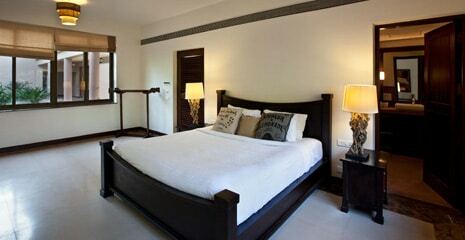 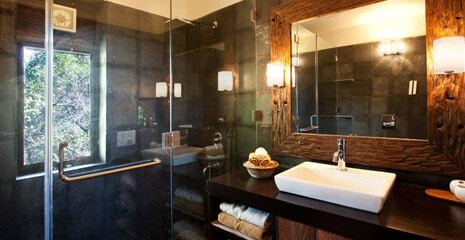 They have been stylishly decorated with contemporary luxe furnishings, marble flooring and soft muted lighting. 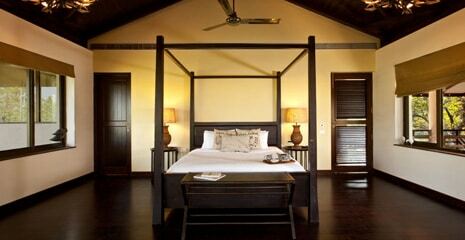 The villa has 2 separate sections, each with its own sitting and dining rooms and choice of bedrooms. 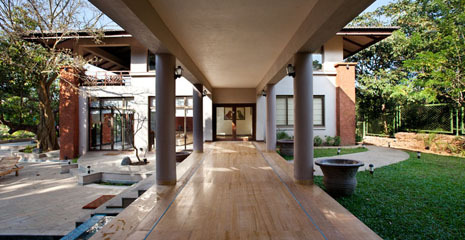 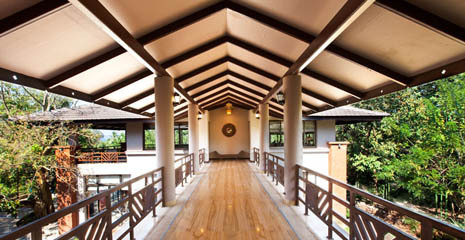 They are joined by a long shaded corridor that ensure the villa is a perfect luxurious getaway any time of the year.